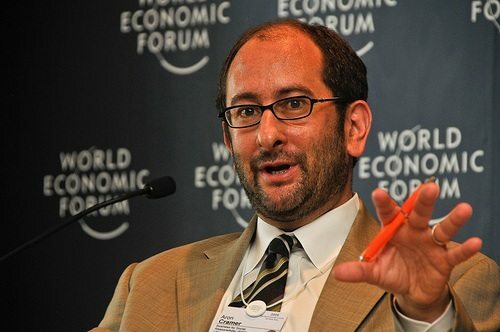 At Davos, Aron Cramer, the CEO of Business for Social Responsibility, presented the results of a report prepared for the World Economic Forum on the future of civil society. The report provided, as Cramer said, “important insights into the direction global civil society may take in the years ahead.” While touting positive qualities of civil society organizations, such as their flexibility in acting globally and locally, their ability to act as problem solvers, and their ability to “enable new institutional forms to address an ever-evolving global agenda,” Cramer noted the challenges of civil society organizations. Those challenges include resource constraints, problems of transparency, oppression from government, and disintermediation. What is the level and what are the sources of funding for civil society stakeholders? What is the social and political influence of increasing access to technology? What is the extent and type of citizen engagement with societal challenges? What is the state of global and regional geopolitical stability and global integration of markets? What is the effect of environmental degradation and climate change on populations? What is the level of trust in governments, businesses and international organizations? “Mad Max is a world characterized by international and national conflict, where governments exert strong security controls on both business and society. Levels of funding for societal and development challenges are limited. Transparently Blurred posits a scenario where economic growth is relatively high …and where the government and private sector are both deeply engaged in tackling societal challenges. Access to data, technology and rigorous monitoring are the hallmarks of a revolution in both economic activity and social development. Turbulence and Trust Deficits depicts a chaotic world where trust is a scarce commodity. Yet, thanks to the possibilities created by the rise of the networked society, there is a significant latent desire for social engagement by citizens, particularly at the local level. Technology “will give power to civil society and enable new roles to be played with greater impact. “Cross-sector engagement, particularly between business and civil society,” will be of importance. “The value of closer, more constructive links between civil society and policy-making” is clear in these future scenarios. New York City’s public schools remain among the most segregated in the country, but signs of change are coming earlier than expected.